If you’re like most people who, when buying a car online, are attracted to the large interior of an SUV but prefer better fuel economy and don’t want to leap into your vehicle everyday, then crossovers are perfect for you. Combining the best of full size sedans, smooth drive and better fuel economy into the world of SUVs, crossovers are the best new bet for those who don’t want to compromise quality, style, space or money. As the winner in multiple categories by U.S. News Rankings and Reviews including Most Affordable Crossover/SUV with two rows is your best bet for the money and for your family. The powerful combination of positive reviews and some of the best long-term ownership costs mixed with its reliable ratings and family-friendly features and comfortability make the Nissan Murano crossover a sure win. When even the base model is powered by a V6, it’s not short on delivery and for a midsize crossover, it also delivers on fuel economy, too. Getting an impressive 21/28 mpg city/highway is very competitive in this segment. Having been recently redesigned, the Murano indulges in the use of top materials. The cabin feels more like a luxury crossover than not, but stays true to its handsome styling and solid construction. As a crossover, there is ample room for extra cargo space and critics loved the comfort and spaciousness the driver and passenger seats offered. Base models of the Murano start at $29,560 and go up to $40,600. Earning excellent fuel economy and with its agile, sporty handling, critics and reviewers say the CX5 is one of the funnest crossovers to drive. And with it’s extra space, the passengers will agree. With two 4 cylinder engine options available, 2.0L or its more spirited sister 2.5L, both come mated to a 6-speed manual transmission unless you opt for an automatic. Both powertrains earn a combined EPA rating of 29 mpg, which is very impressive. As a five passenger crossover, you are giving three trim levels to choose from: Sport, Touring and Grand Touring. 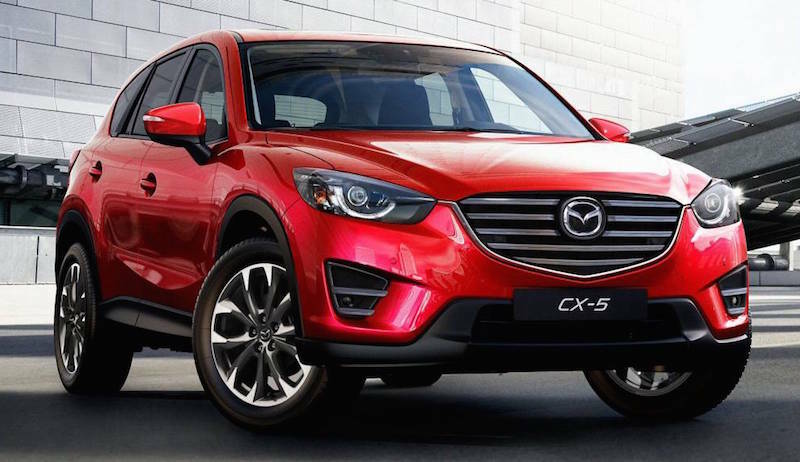 While all trims received the upgrades, it’s the CX5’s spirited handling, good fuel efficiency and foul-weather driving capability that make this crossover massively popular. It also helps that even including the Grand Touring, all trims stay within the $20,000-$30,000 range. While Jeep was one of the very original ‘Sports Utility Vehicle’ to don the moniker, recently Jeep has lowered the the Cherokee and given it a crossover appeal. Because of its lowered stance, it does drive a little differently, but don’t let that fool you. Jeep’s are trail rated and just because this doesn’t have boulder-like clearance, it can still manage off-road. Offering two engine choices: a 4 cylinder for better fuel economy and a V6 for more powerful acceleration, the V6 is mated to a 9-speed automatic transmission. Even though the Cherokee gets plenty of accolades for its off-roading features, drivers and passengers really enjoy that its highway driving is as smooth as any other crossover in this segment. 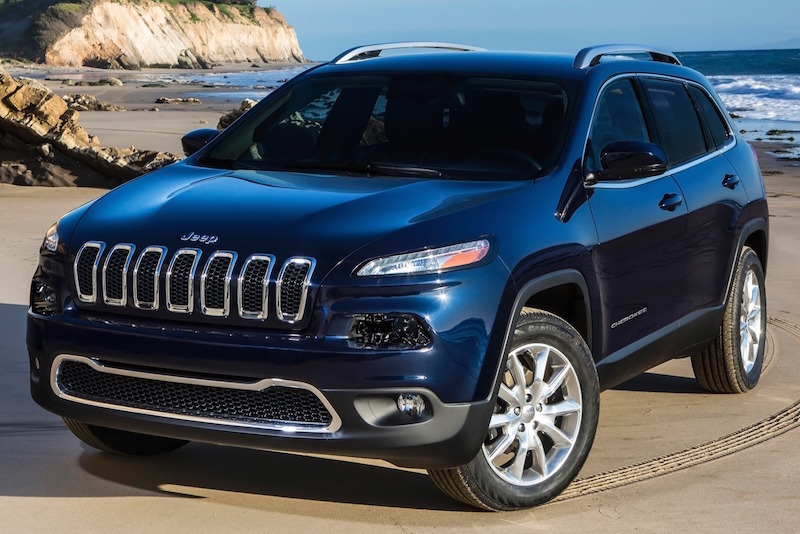 Starting at $23,395 the 2016 Jeep Cherokee can offer top trim at $33,835.